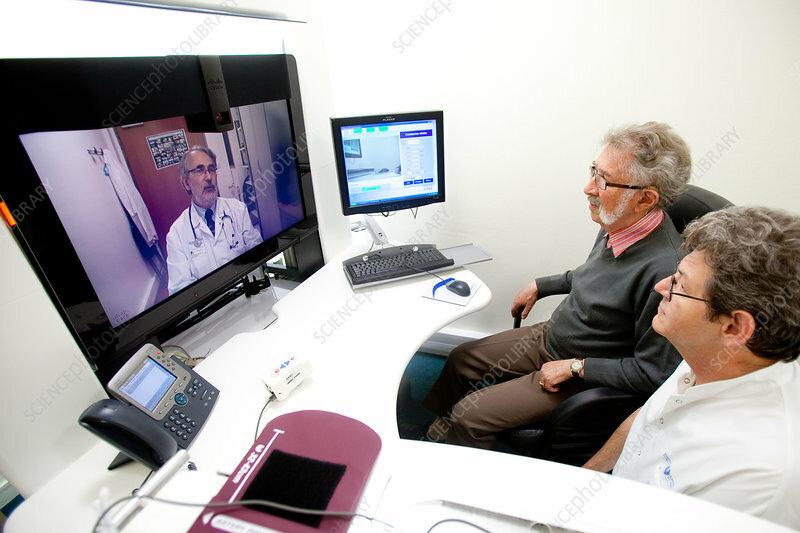 Telemedicine consultation between two hospitals (Hospital Vaugirard and Hospital European Georges Pompidou, HEGP). Network TeleGeria, consultation at a distance system developed by HEGP under the coordination of Dr Peter Espinoza. Paris, France.